Friedrichshafen, Germany, April 12, 2019 – Daher’s latest addition to its very fast turboprop aircraft family – the TBM 940 – is receiving a warm welcome for its public debut at the AERO Friedrichshafen general aviation show in Germany. This ninth evolution of the TBM product line is characterized by an increased level of automation in the cockpit. Aligned with Daher’s TBM e-copilot® strategy of introducing increased functionality for operational safety improvements, the TBM 940 features an automated throttle and automatic icing detection system – both of which are firsts for a production turboprop aircraft in the TBM’s weight category. Chabbert added that customer response to the TBM 940 is promising, with 25 orders already booked and discussions underway for many more. One of the sales was made today at the AERO Friedrichshafen show by Rheinland Air Service, TBM Authorized distributor for Austria and Germany, to a German customer, for a september delivery. The TBM 940’s integrated autothrottle system automates the engine’s power control and monitoring. Fully integrated with the aircraft’s autopilot, the GMC 711 AT controller decreases a pilot’s workload with such new modes as the selection of vertical speed (VS) or indicated airspeed (IAS). During the climb phase, the pilot no longer needs to continuously adjust the throttle to reach the optimum torque – thereby providing improved safety in flight and additional protection for the engine. In addition, the engine parameters are now displayed on an intuitive smart engine indicator on the Garmin G3000 flight deck that indicates the limits with different color codes (green, amber and red) for torque, interstage turbine temperature (ITT) and gas generator RPM (Ng). The TBM 940’s automatic icing detection system provides automated protection while keeping the pilot fully in the loop. When icing or ice accretion is detected by an externally-mounted sensor – and if the pilot does not take action – the automatic icing detection system will activate deicing devices on the airframe, windshield, propeller and the engine’s particle separator. An amber CAS (Crew Alerting System) message is displayed by the avionics, advising the pilot to clear the automatic activation and revert to the manual control mode. In the TBM 940’s cabin, an enhanced interior combines comfort and aesthetics with redesigned seats and the addition of practical amenities. Among these is a new central shelf with side storage and USB ports, bringing the total number of USB ports available for passengers to six, with three for pilots. A 115 Volt universal plug complements the 14 Volt cigarette lighter socket, allowing occupants to use a wide range of electrical devices in the cabin. The TBM 940 offers the same range, performance and technical features that have contributed to the success of the TBM 900 and its derivatives. Friedrichshafen, Germany, April 10, 2019 – The latest upgrade to Daher’s “Me & My TBM” cloud-based application for owners and operators of TBM very fast turboprop aircraft was introduced today at the AERO Friedrichshafen 2019 general aviation show during a keynote presentation. With this third version of the “Me & My TBM” app, feedback for users is provided during every phase of a TBM’s flight, from key parameters of the engine and other systems to a full range of statistics accessible wherever the aircraft goes. Enhancements include information updates on aircraft status (fuel, the addition of oil and its consumption, and battery voltage), flight reporting with an enhanced logbook that provides a detailed flight analysis from engine start to shut down, as well as the ability to share flight data with fellow pilots and others on social media. Also incorporated in the Version 3.0 application is a new analysis of landing approaches, complete with a profile graph. New elements have been added for “My TBM Challenge” – the friendly competition that enables pilots to compare their flight performance with others in the TBM community. The app is now able to make new determinations, such as whether a transatlantic flight has been accomplished, and if the proper aircraft attitude was established during landing approach. In addition, trophies are earned by attending airshows. Pilots now have the possibility to share their flight data via such social media channels as Facebook, as well. To enhance the customer experience, primary information about a TBM owner’s aircraft is displayed as a “TBM identity card” in the updated app’s new “My TBM details” section. Additionally, a new banner for CAMP computerized maintenance tracking is included on the app’s home page, highlighting the remaining days or flight hours before the next scheduled maintenance operation/inspection. As another feature, the latest “Me & My TBM” app version includes a direct link to Daher’s TBM Care support resource, as well as for the reporting of TBM aircraft on ground (AOG) situations. Illustrating Daher’s innovation capacity and digitalization advances to deliver value to its customers, this application benefits from Daher Analytics’s Big data expertise to collect, process and analyze over four billion data generated daily by the fleet in operation. All new TBM 910s and TBM 930s delivered by Daher since January 2018 – along with the upcoming TBM 940 – are outfitted with the FAST™ flight data retrieval and transfer solution, and therefore are compatible with the “Me & My TBM” app. For earlier production TBM aircraft, Daher is including the Bad Elf “Wombat” accessory in the TBM catalog of options and upgrades. This portable SD Card reader can wirelessly transmit data for use by the “Me & My TBM” app. With it, the application could be used with more than 400 previously-produced TBMs by using a non-automated process. Lakeland, Florida, USA, April 2, 2019 – Daher today unveiled the latest definition of its TBM 910 single-engine very fast turboprop aircraft, debuting the Model Year 2019 version at Florida’s SUN ‘n FUN International Fly-in and Expo. In a new step aligned with Daher’s TBM e-copilot® strategy of introducing increased functionality for operational safety improvements on the TBM product line, the TBM 910 has an automatic icing detection system that provides automated protection while keeping the pilot fully in the loop. When icing or ice accretion is detected by an externally-mounted sensor – and if the pilot does not take action – the automatic icing detection system will activate deicing devices such as the airframe, windshield, propeller and the engine’s particle separator. An amber CAS (Crew Alerting System) message is displayed by the avionics, advising the pilot to clear the automatic activation and revert to the manual control mode. As the entry-level member in Daher’s TBM product line, the TBM 910’s 2019 definition also includes G1000 NXi avionics suite features that are incorporated in the high-end G3000 advanced flight deck of the TBM 930 and the TBM 940. They are: Surface Watch™, which helps the pilot maintain enhanced situational awareness in the airport environment; Baro VNAV, allowing approaches with vertical guidance when Wide Area Augmentation System navigation is not available; and visual approach assistance for the TBM pilot in performing visual approaches on non-controlled airports with vertical guidance. In the TBM 910’s cabin, Daher has incorporated ergonomic and style upgrades changes for 2019 that range from redesigned seats, additional thermal insulation for the cabin sidewalls and a new central shelf with side storage to an additional 115V electrical outlet at the right rear seat panel, and USB ports (bringing the overall total of USB ports to six for passengers and three for the pilots). April 4,2019 – FAI Aviation Group, Germany’s leading global provider of mission-critical aviation services, offering fixed-wing air ambulance, special missions, charter and aircraft management, as well as full MRO services will return to EBACE next month (Avinode Stand #B71) as it celebrates 30 years of business jet operations. Founded in 1987 as a private repatriation club flying helicopters, FAI moved into business jet flying two years later. 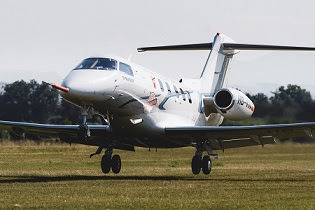 Over the past three decades, Nuremberg-based FAI has grown its fixed wing fleet from a single Citation 500 and two rescue helicopters (Eurocopter AS 350 and Airbus BK 117) to become Germany’s largest business jet operator with 25 jets and over 13,500 hours logged in 2018. FAI’s air ambulance business has grown too and today FAI is a global market leader in air ambulance patient transport by jet aircraft, having logged more than 200,000 total hours of ambulance missions inside 30 years. FAI has grown significantly since its inception in 1989 through the acquisition of a small repatriation business, focusing on the air ambulance market. That same year, FAI purchased a Cessna Citation 500 which was followed by the purchase of two Falcon 20´s two years later. Going from strength to strength in 2004 the company expanded into special mission services in hostile areas for the world´s largest NGO. In 2011 with revenues in excess of €50m for the first time, the company inaugurated its new headquarters at Albrecht Dürer Airport in Nuremberg. The company expanded again in 2012 with the launch of its dedicated MRO division, FAI Technik. In 2014 it opened its second maintenance hangar 7 which was followed in 2017 with the inauguration of its latest 4,500sqm hangar 8. The three hangars together represent the largest general aviation hangar complex in Germany, capable of accommodating up to four BBJ´s or ACJ´s simultaneously. Over the years FAI Aviation group has grown organically – and today the company has revenues in excess of €80m. It has offices in Dubai and Miami, FL and is a market leader in fixed wing air ambulance operations. Last year, the company was further strengthened by a significant minority stake investment by Bahrain Mumtalakat Holding Company (Mumtalakat), the sovereign wealth fund of the Kingdom of Bahrain, further opening up the Middle East market. Recent new collaborations have also followed with FAI working with the world leading group purchasing organisation Convolus (now AVIAA) and inflight broadband provider, Gogo. Additionally, in January 2018, FAI became an Authorized Collins Aerospace Distributor for avionics and cabin electronics equipment. FAI Technik continues to see growing demand. Last month, FAI´s started work on its sixth in-house Global Express cabin refurbishment which marked one of the most extensive refurbishment projects for the type. Named ‘Project Pearl’, the Bombardier BD700 will include 60, 120- and 240-month inspections and feature Collins Aerospace’s latest VenueTM cabin management system and high definition entertainment system. Melbourne, Florida / 2 April 2019 – Today Satcom Direct (SD) announces the commercial service introduction of Intelsat FlexExec as part of its SD Xperience portfolio. The first high-speed, managed, end-to-end broadband service designed specifically for the business aviation sector, FlexExec is now being commercially delivered in partnership with Intelsat (NYSE: I) and Astronics AeroSat. At service introduction, four aircraft types are utilizing the system including a Dassault Falcon 7X and three Gulfstream models, GIV, G450 and G550. In addition to the customer aircraft, SD has performed global network validation with its Gulfstream GIV, making this the first business aviation connectivity offering to undergo global beta testing prior to commercial service introduction. “Business aviation now has a dedicated connectivity system that can be tailored for customers to suit specific mission needs. The flexibility and resilience of the FlexExec system will bring enhanced connectivity to the industry, paired with SD Xperience at a time when synchronizing data across all aspects of flight operations to improve efficiency and safety is becoming increasingly important. The service introduction is the next step in the evolution of the digitized aviation industry,” said Jim Jensen, CEO and founder of Satcom Direct. Significantly, the new service gives business aviation operators the ability to budget hourly connectivity rates for the first time ever. The “Power-by-the-Hour” plan, only available through the SD Xperience portfolio, provides clients with greater flexibility to plan for maintenance and down time. The hourly rate is inclusive of the full ecosystem of SD services, meaning cabin connectivity, datalink, scheduling, cybersecurity, post-flight reporting and more are all included, on a single consolidated monthly invoice. As well as maximizing operating budgets, SD Xperience synchronizes aircraft with flight operations through its integrated software, hardware and connectivity. FlexExec is powered by Intelsat’s global, high-performing, multi-layered Ku-band satellite fleet using the Intelsat EpicNG high-throughput satellite (HTS) platform with layers of inbuilt redundancy. Uniquely, customers are not subject to data speed caps as consistent delivery of up to 10Mbps into the cabin, and 2Mbps out, gives enough bandwidth to support streaming, large file transfers, and video conferencing on multiple Wi-Fi devices simultaneously. Consistent delivery is augmented by the secure SD network infrastructure consisting of the SD Data Center and global Points of Presence (POPs) around the world. As the Master Distributor of the FlexExec service, usage is also supported via the SD Xperience end-to-end business infrastructure. In the air, SD provides the cabin networking hardware to give customers advance network management options. The software delivered by the SD Pro Operating System delivers a variety of benefits including predictive connective mapping, cybersecurity threat monitoring, flight tracking and account management tools amongst other options. On the ground, the FlexExec service is integrated with SD’s support team who are available for activation, provisioning and troubleshooting 24/7, 365 days a year ensuring bandwidth is available wherever customer aircraft are flying. The network architecture is delivered to aircraft via the AeroSat FlightStream™ (T-310) tail-mounted antenna system. The system is initially available for aftermarket aircraft, and installations are offered through approved service centers. 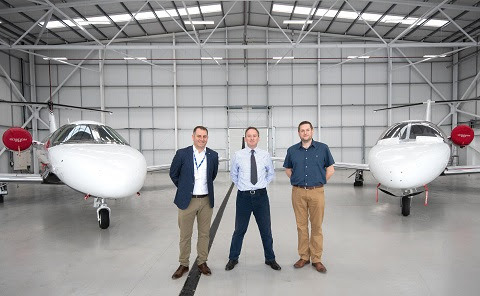 April 1st, 2019 – A new aircraft maintenance company, Jet Maintenance International (JMI), is to be established at London Oxford Airport from the start of May. Headed by principals Neil Plumb and Ed Griffith, the MRO (Maintenance, Repair and Overhaul) and aircraft management business will be primarily focused on Textron (Cessna) Citation and Dassault Falcon aircraft product support with line, base and AOG capabilities. Veterans in the business aviation sector with over 40 years’ combined experience, the JMI team expects to tap into the ever-growing demand for high quality and personalised customer service for some of the more popular models in the UK and wider European business aviation fleet where demand for quality technical support is beginning to exceed capacity. Ed Griffith’s experience includes running hangar MRO operations at Gama Aviation Plc, Textron, Kinch Aviation and transforming the London Luton Airport Line Station for CSE Citation Centre (now Signature TECHNICAir). Neil Plumb was the General Manager of a large MRO at Cranfield before going on to set up his own business managing and flying numerous business aircraft, predominantly Citation and Falcon types. Moving into London Oxford Airport’s most recently completed facility, Hangar 14, Bay 4, they start with a brand-new £2m facility with around 16,000 sq.ft. (1,500m2) along with bespoke external offices and dedicated customer parking. Initial operations will be focused on the more popular Citation 510 (Mustang), 525 Series (CJ Series), 560 (Excel/XLS), Falcon 2000 and 900 models but will evolve to meet customer demand. March 28, 2019 – AVIAA, the world’s only global group purchasing organization for business aviation, has added an important new pillar to its business aviation services – a 110+-strong global FBO network. The US and European-based company invited a variety of FBOs to participate in an RFP process in December, responding to demand from members to obtain valuable savings on their fuel costs in North America and associated FBO services worldwide. “We had an amazing response,” said AVIAA CEO Gillian Hayes, noting that after two months of close evaluation the full line up of participating partners have now been loaded on to the AVIAA Dashboard, enabling members to enjoy a range of preferred pricing, as and when they use them. The newly selected US and Canadian locations join AVIAA’s established FBO partners in the UK, Europe, Middle East, and Asia for a robust network of over 100 locations and growing. Through the network, AVIAA members will receive exclusive pricing on fuel uplift at North American locations, in addition to discounts on handling and other services at all other destinations. “Our preferred FBO network is a big part of our community building. Just like our jet owners and operators want to join together and aggregate their volume to streamline purchasing, these FBOs are committed to joining together and supporting our community as partners,” Gillian added. In the US, the growing FBO network includes big brands like Jet Aviation at Washington Dulles, Fontainebleau in Oppalocka, and Castle and Cooke, as well as small independent locations. Partners abroad include TAG Aviation, Jetex, Omni Handling, and Aviapartner Executive. Project Pearl represents one of the most extensive refurbishment projects for the type. The five month project will include 60, 120 and 240-month inspections and a full cabin refurbishment featuring the new Collins Aerospace Venue. Passengers can enjoy watching HD movies and listen to enhanced digital audio throughout the cabin. Venue can broadcast a range of other high-resolution content. The project also includes the installation of Honeywell´s Ka-Band broadband technology, delivering ultra-high-speed satellite connectivity. 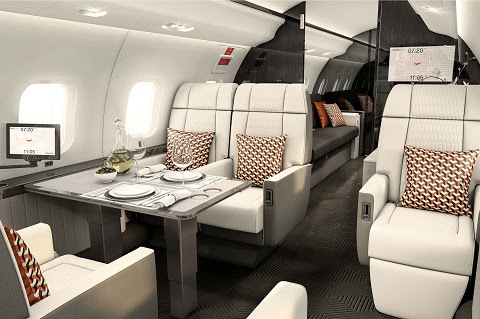 The architect of the cabin project is German designer Tim Callies, who is well known for his work on Airbus ACJ, Boeing BBJ and Bombardier Global Express interiors. The luxury interior will feature VIP seating for 12 passengers and include stylish two tone leather seating and two three-seat sofas covered in Armani fabric. Additional modifications and upgrades include new cabinetry, cobalt black metal plating, granite table tops, the latest galley appliances to include a wine cooler, coffee maker and oven and stylish heated stone floors in the galley and toilet area. This will be followed by a newly designed exterior paint scheme. Priced at USD $ 10.95 m, this unique turnkey Global Express should be very attractive to potential clients flying on business or leisure trips. Project Pearl is FAI´s sixth in-house Global Express cabin refurbishment and its third installation of Honeywell´s Ka-band technology on a BD700. In January 2018, FAI Technik was appointed as an Authorized Dealer for Collins Aerospace avionics and cabin electronics equipment. The FAI Aviation Group will participate at EBACE in Geneva 21-23 May, 2019, Avinode Stand #B71. 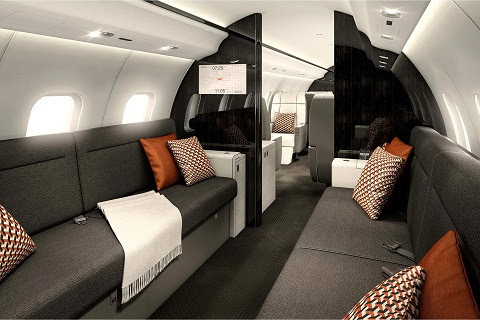 Caption: Renderings of FAI’s latest Bombardier BD700 Global Express cabin refurbishment project. Zug, Switzerland/25 March 2019. Vertis Aviation, the Switzerland-headquartered charter specialist has created two new team roles. Christian Stokes has been appointed as Business Development Manager with a remit to develop the Vertis Charter Management Programme in Europe and Anna Smahlli has stepped into the role of Charter Sales Executive. As the business continues to grow it is taking the opportunity to merge all its charter and aviation consultancy capabilities into one global offering and the recent appointments support the strategy. In the newly created role of Business Development Manager Christian is responsible for enhancing brand awareness and attracting new clients to the well-established Vertis Charter Management Program. The tried and tested Vertis model supports owners and operators looking for outsourced professional charter sales management, enabling them to maintain focus on the core competency of aircraft operations. Previously, Christian has helped develop a number of hospitality businesses and joins Vertis after working with a private aviation membership company. Located in Dublin he is geographically and professionally well positioned to use this experience to support Vertis growth on both sides of the Atlantic. Anna Smahlli joins Vertis as Charter Sales Executive based at the company’s Zug, Switzerland, headquarters. The Ukrainian national has worked for more than eight years in the business aviation industry in a variety of positions including flight dispatcher, operations coordinator, as well as in management and business development fields. Using her understanding of the industry Anna is finding new customers, liaising with business partners and maintaining the high-level of customer service standards Vertis is known for as she grows the European and CIS business. Complementing the team expansion Daniella Dawson, who has worked as Charter Sales Manager for two years in London, moves to the Dubai office to grow the team there. The Middle East has proven a fertile ground for the highly bespoke, customised service Vertis offers. As the Dubai location enters its seventh year of business the growing regional work load requires additional resources. Daniella will work alongside Vertis Chief Commercial Officer, Catherine Buchanan. The Vertis team now numbers 12 in total with Vertis offices in Zug, Boston, Dubai and Cape Town. “It is an extremely exciting time for Vertis as we shift our balance from being known for our long-range expertise. This will continue, as will our Vertis Charter Management Programme, but these activities will be complemented by the development of our short- to mid-range charters. We’ve always offered them, but we are now strengthening this part of our business to ensure our clients, and the market, can maximise our charter expertise whatever their needs”, said Founding Partner, Jeffrey Emmenis. 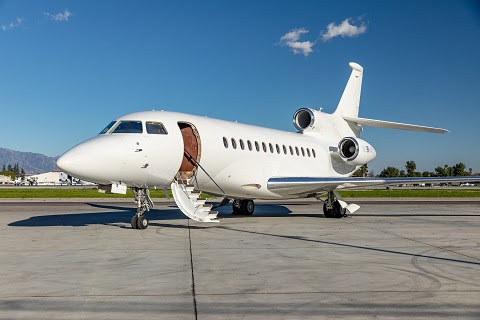 March 19, 2019 – Planet Nine Private Air (“P9PA”), the Van Nuys, California based private charter operator and aircraft management company, announced today the addition of its fourth ultra long-range Dassault Falcon 7X aircraft to its Part 135 certificate. The aircraft, registration no. N996MS, is a low-time aircraft with less than 500 hours flown. It is offered with the distinctive Planet Nine 14-seat luxury executive interior, with Wi-Fi and IFE from Swift Broadband. “Our winter bookings were strong and the remarkable short runway performance of the Falcon 7X gave us an advantage, allowing us to operate to and from airports such as Samedan, Chambery and Aspen. This summer we are looking forward to flying to Cannes in the south of France,” said Director of Sales, Kirti Odedra. “Planet Nine has become a notable ambassador for Dassault Falcon Jet and our popular, 5,950 nm-range 7X. Bringing four aircraft into service, three of them under outright ownership, inside of a year, is very admirable. We congratulate Matt Walter; James Seagrim, Director of Operations and the team for reaching this milestone,” said Dassault Falcon Jet President and CEO, Jean Rosanvallon. Caption: Planet Nine places fourth Dassault Falcon 7X into service. Paris, France, March 12, 2019: Daher congratulates the success of two TBM pilot-owners – Dierk Reuter and Phil Bozek – in setting a new world speed record between New York and Paris aboard a TBM very fast turboprop aircraft. Flying the TBM 930 owned by Reuter, they crossed the Atlantic Ocean in 8 hours and 38 minutes with an average speed of 364 kts., taking off from Westchester County Airport (KHPN) north of New York City, and landing at the historic Le Bourget Airport (LFPB) near Paris – where Charles Lindbergh landed after his pioneering transoceanic crossing. The TBM 930 beat the previous 325.2-knot record in the C1e category (turboprop aircraft with a maximum takeoff weight under 13,200 lbs./6,000 kg. as established by the Fédération Aéronautique Internationale), which was held since 1985 by the renowned test pilot, Chuck Yeager, on a twin-engine airplane. Planning for the speed record attempt took the crew one year and included such elements as weather prediction over the Atlantic, definition of a route within commercial air traffic corridors, and technical aspects. The weather analysis was facilitated by the use of custom-built software created by Reuter, which provided good estimation of favorable winds. His TBM 930 was equipped with a custom-made fuel tank to carry 300 U.S. gallons of jet fuel – bringing the aircraft’s total usable fuel quantity to 600 U.S. gallons, ensuring more than 10 hours of flight time. The additional fuel increased the TBM 930’s 7,398-lb. maximum certified takeoff weight to 9,200 lbs., which required an approval from the U.S. Federal Aviation Administration. The FAA’s authorization was issued just a few days before the flight, which took off from Westchester County Airport at midnight on March 8. “My thanks go to those involved in obtaining the airworthiness approval, in particular Joe Robbins from the Rice Lake TBM Service Center, who was instrumental in dealing with the FAA,” Reuter added. For traffic management, Reuter and Bozek were assisted by air traffic control agencies, primarily from Canada’s NavCanada and the French DGAC civil aviation authority and its navigation services, to obtain the most direct routes. In addition, the TBM 930 was equipped for satellite communications and inflight tracking using an Iridium GO! device, and with dedicated support from Iridium Communications. This enabled them to stay in permanent contact with transoceanic control centers. The two pilots said their flight went well, although the departure was delayed two hours by severe frost in New York area – requiring a full ground deicing at Westchester County Airport. “After encountering moderate winds during the first part of the trip, we experienced very favorable winds later, which propelled us at astonishing ground speeds up to 458 knots,” explained Bozek. They landed at Le Bourget Airport 2:38 p.m. on March 9, having consumed a total of 520 U.S. gallons – near to the previsions – with sufficient fuel remaining to reach an alternate airport if needed. Upon their arrival, they were welcomed at Luxaviation lounge, and its partner of the SkyValet handling agent. Greeting them were Daher executives, as well as Jacques Lemaigre du Breuil, a winner of the Lindbergh trophy who flew a similar New York-Paris trip 25 years ago in a TBM 700 at an average speed of 287 kts. Reuter, 58, is a Chicago-based global finance expert and currently flies his TBM 930 after owning a TBM 850 version for nearly 10 years. He has amassed 4,500 flight hours, half of which have been logged while operating his two TBM aircraft throughout the world – including an exciting trip to Antarctica in December. The 31-year-old Bozek is a Michigan-based serial entrepreneur and real estate investor who has the distinction of being the youngest owner of a Daher TBM very fast turboprop aircraft. Bozek has flown nearly 3,400 hours (including 800 in his TBM 900) and is a passionate aviator that frequently flies aerobatics and formation demonstrations using his own collection of piston-engine and turbine-powered warbirds. Peterborough, Ontario /11 March 2019. Flying Colours Corp., the North American maintenance, repair, overhaul and completions business, recently celebrated employee service anniversaries with a luncheon at its Peterborough, Ontario, headquarters. Debbie Amman, senior vice president finance and administration was acknowledged for working with Flying Colours President John Gillespie for more than 40 years, as was Tony Barrett senior vice president technical services, who has worked with John for 37 years. Both were present to witness the company evolution to a full MRO, interiors and modification business in 1989. Achieving his AME (Aircraft Maintenance Engineer) license in 1985, Barrett became Flying Colours Director of Maintenance in 1988. He has mirrored the company’s development growing from a single hangar and a small team, as he progressed from AME to DOM to VP Maintenance. As the size of the aircraft increased from Pipers and Beech 99s through to Bombardier Challenger types up to Bombardier CRJ size, so Barrett’s career progressed to where as Senior Vice President he is supporting the company’s ambition to be a team of 500 by the end of the year. “It has been a tremendous journey for me personally and professionally over the decades at Flying Colours. The opportunity to develop a career path through to Senior VP at the same business is a rare one. It is an honour to have worked here for so long. I’m still excited to see what the future brings for Flying Colours as it continues its exponential growth,” said Barrett. At the celebration, Flying Colours provided a catered lunch for employees and honoured 5, 10, 15, 20, 25 and 30-year employees. In all, 111 employees from operations, production, engineering paintwork, maintenance, administration and management groups celebrated a milestone anniversary and received a customized plaque. The ceremony was preceded by a town hall-type discussion where employees were encouraged to ask questions of senior leadership; a hallmark of Flying Colours commitment to transparent management. March 11, 2019 – AVIAA, the expanding group purchasing organization for business aviation is growing its Customer Success team and enhancing its data infrastructure to support a widened membership of nearly 500 aircraft. The move follows hard on the heels of AVIAA’s acquisition of Convolus and establishment of an office in Munich, Germany, headed by Managing Director Irena Deville. AVIAA’s Customer Success Team works closely with members to help them understand the process and analytics of the cost savings they are accruing. “We advise members as they move into new sectors, whether they are transferring from Part 91 to 135 operations; adding a new aircraft type or introducing new capability that may justify adding a new pillar of spend,” explains AVIAA COO Rick Tilghman. The Customer Success team also advises members on when there are available slots in training and when best to plan maintenance visits, working on a day to day basis with its supply chain. AVIAA has just welcomed Don Hitch into the dedicated role of Vice President – Customer Success. Don joins the business with a firm understanding of how to optimize luxury assets, having established and successfully ran the (Part 91) flight department for California’s The Wonderful Company LLC as Vice President of Aviation. He brings 35 years’ experience in Part 91, 135, and 125 flight operations as both pilot and manager. Senior leadership roles include serving as President of AMI Jet Charter, a TAG Aviation subsidiary. Don has also served on various NBAA Committees and currently serves on the Business Aviation Managers Committee (BAMC), which supports the prestigious CAM program. Dn leads a stellar team of aviation professionals. Lori Jones is Director of Customer Success in the US, having joined AVIAA last summer from charter specialist West Coast Aviation. Sarah Holian, formerly with StrataJet in London, supports AVIAA’s UK, European, and Middle Eastern members. AVIAA’s most recent hire, Matthew Suedkamp, was most recently Director of Flight operations for Elon Musk’s rocketry company SpaceX. 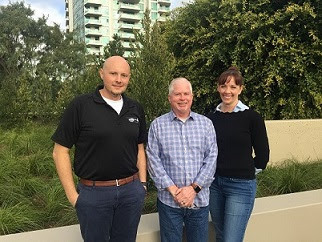 Photo caption: Left to right, AVIAA grows its Customer Success Team with Matthew Suedkamp, Don Hitch and Lori Jones. March 10, 2019 – Falcon Aviation, a leading business aviation services company in the UAE, is exhibiting at the new Saudi International Airshow (12th to 14th March) to highlight its helicopter and business jet VIP air charter services, together with its MRO and FBO capabilities. The region is ideal for helicopter activity, Capt Raman suggests, emphasising Falcon Aviation’s considerable experience in the sector. Its helicopter touring operation in the UAE has grown substantially. Likewise, Falcon Aviation’s helicopter filming activity out of the UAE has experienced growth and in Saudi Arabia (KSA) it is a regular visitor with its fleet of VIP/VVIP charter helicopters and business jets. Falcon Aviation is looking forward to building on a strengthened aviation relationship with Saudi Arabia. Early in 2019 it won approval from Saudi Arabia’s General Authority of Civil Aviation (GACA) to provide MRO services on Saudi registered business jets. “We have been approached by a number of Saudi business jet operators and have started taking bookings for base maintenance at our MRO facilities in UAE,” said Nicolas Tejera, Director of Maintenance of Falcon Aviation. “We also offer line maintenance support, parking, hangarage for business jets at our Abu Dhabi and Dubai DWC bases,” he elaborated. Falcon Aviation is looking forward to formally opening its new MRO for business jets at DWC Al Maktoum International Airport in Dubai South soon, complementing its established MRO and HQ at Al Bateen Executive Airport in Abu Dhabi. The newly built hangar in over 24,000-sqm land, includes workshops, wash bay and landside office space with an additional 13,000 sqm of apron, providing plenty of aircraft parking spaces. The new facility complements Falcon Aviation’s VIP FBO at Dubai South and heliport (also run and managed by Falcon under its AOC). At the same time, Falcon Aviation’s Al Bateen facility is being expanded to become a leading centre for third party regional turboprop aircraft MRO, supporting Bombardier Q400 aircraft and eventually, other types. Falcon Aviation also offers extensive Helicopter MRO capabilities at the base too. During the MEBAA Show at the end of 2018 Falcon ratified a new partnership agreement with Honeywell Aerospace to become an authorized Channel Partner in the region. (This programme was created by the OEM to help its regional dealerships to market the company’ solutions more efficiently.) Falcon offers part programmes and technical support. Reinforcing it is open to exploring new opportunities in new regions, with new partners, Falcon Aviation has just commenced a new offshore and onshore operation in Kuwait with three new Leonardo AW169 helicopters dedicated to the Kuwait Oil Company (KOC). Falcon built the new 2,000-sqm hangar at the 160,000 sqm heliport located in the oil company’s premises last year to support the operation. Over the last four years Falcon Aviation has successfully introduced 19-seat AW189 helicopters for the Abu Dhabi National Oil Company (ADNOC) and is now the world’s lead operator of this helicopter type. Similarly, in 2016, to meet the OGP standards for TOTAL oil and gas operations in UAE, it introduced an eight-seat AW169 and is now world leader on the type. Falcon Aviation’s Managing Director leads the strong Falcon Aviation contingent attending the Saudi International Airshow, which includes senior management from Falcon’s Engineering, FBO and Sales Divisions. Tarbes, France, March 9, 2019: Daher is following the attempt of two TBM pilot-owners using a TBM 930 very fast turboprop aircraft to break a world speed record between New York and Paris, which has been held since 1985 by the famous test pilot, Chuck Yeager. The record attempt began yesterday, March 8, at Westchester County Airport (KHPN) north of New York City, with a takeoff at midnight local time. They are expected to land at Paris’ historic Le Bourget Airport (LFPB) this afternoon. Paris – where Charles Lindbergh landed after his pioneering North Atlantic crossing. They will be hosted at Le Bourget Airport, by Luxaviation, which is a business aviation services company and his partner SkyValet will provide handling support for the speed record aircraft. “We are ready to host the arrival of this milestone flight and are proud to be a part of an exciting aviation adventure,” commented Barbara Prieto, Sales Executive Manager of Luxaviation France. Pilots Dierk Reuter and Phil Bozek have worked extensively over the past year with officials on both sides of the Atlantic to challenge the record in the C1e category (turboprop aircraft with a maximum takeoff weight under 13,200 lbs./6,000 kg.) as established by the Fédération Aéronautique Internationale (FAI) – the world governing body for air sports. They also expect to break the New York – Paris speed record in a TBM 700 established on June 27th, 1994, 25 years ago by Jacques Lemaigre du Breuil with an average speed of 287 kts. To fly the 3,139-naut. mi. route non-stop from New York to Paris, Reuter’s TBM 930 has been fitted with the additional fuel tank, which will carry 300 U.S. gallons of jet fuel – bringing the aircraft’s total usable fuel quantity to 600 U.S. gallons, ensuring more than 10 hours of flight time. A permit for the record attempt has been delivered by the U.S. Federal Aviation Administration, allowing the aircraft to take off at an increased weight of 9,500 lbs. compared to the TBM 930’s certified maximum takeoff weight of 7,398 lbs. In addition, the airplane is equipped for inflight tracking using an Iridium GO! device, and with dedicated support of Iridium Communications. 8 March, 2019 – Penny Stephens, CEO of Inflite The Jet Centre and vocal proponent of business aviation, was heralded yesterday by the British Business Aviation Association (BBGA) as the recipient of its prestigious Michael Wheatley Award for Outstanding Services to the general aviation industry. The award was presented by BBGA Chairman Marwan Khalek and Marc Bailey, CEO of BBGA, during the Association’s annual conference at Luton Hoo, attended by over 140 industry delegates and guests. “This award is in recognition of the remarkable contribution Penny has given and continues to make to our industry. She has successfully helped evolve a family-run, independent business into a thriving, international focused concern in MRO and executive aviation handling for over three decades, without losing any of those family-held values. Her selection for this accolade was unanimous,” said Marc Bailey, BBGA CEO. Penny’s interest in aviation began aged 17, when she learned to fly at the Southend Flying School. Her first aviation job was with Thurston Aviation in Stapleford, working alongside the legendary Eric Thurston. Serving initially as a secretary, she swiftly moved into administration, then took on a dual operational role in ATC and as a pilot assistant. This is where, aged 20, she met her future husband, Ray Stephens, whose Piper Chieftain was based there. After a career break to have a family, Penny joined Ray at his fledgling aviation company, Inflite in 1992. She quickly took on all aspects of the MRO business and was instrumental in signing up legacy airlines such as Aer Lingus and Lutfhansa to support their BAE 146 regional jets. A strong relationship with BAE Systems saw the 500th C check pass through Inflite’s hangar. With a keen flair for design, in 2005 Penny completely re-designed the Inflite offices, lounges and FBO facility. (To anyone who has ever visited the Inflite FBO and MRO the outstanding quality of these facilities is testament to Penny’s attention to detail). Penny has always been swift to recognize an opportunity, acknowledges her daughter Pauline Monksfield, Director of Operations at Inflite. In 2006 prolific business entrepreneur Lord Alan Sugar and Managing Director of Amsair Daniel Sugar contacted Penny. Daniel wanted to have their brand new Embraer Legacy 600 aircraft maintained in the UK rather than Europe. Could Inflite help? The Legacy was brand new to the market, but taking it on and training engineers on the type proved to be a smart decision by Penny and Ray. Today, Inflite The Jet Centre is the largest EMEA Authorised Service Centre for the Legacy, Lineage and Phenom family. In 2012, as CEO, Penny transformed Inflite The Jet Centre into a luxurious dedicated FBO and MRO, responding to a gap in the market for larger ‘VVIP’ lounges to host executive flights. Gene Willson, Chairman of Titan Airways echoes Pauline’s endorsement. “There are many businesses that have made their mark in the UK aviation industry for their high levels of customer service, loyalty and professionalism. Often there are individuals behind these businesses that have made these qualities stand out because of their care, attention and dedication. With over three decades running the Inflite FBO at London Stansted, Penny has built her business to be one of the most successful and respected in the sector. Inflite The Jet Centre’s expansion continues. Last month the business acquired Bombardier Challenger and Global Express specialist, Excellence Aviation of Farnborough, adding capability in Bombardier Global and Challenger MRO, CAMO and aircraft management to Inflite’s long-established activity on Embraer and Boeing BBJs. Chicago, Illinois, USA, March 7, 2019: Pilots Dierk Reuter and Phil Bozek will use a TBM 930 in an attempt to break a world speed record between New York and Paris, which has been held since 1985 by the famous test pilot, Chuck Yeager, and Jacques Lemaigre du Breuil’s performance on a TBM 700 in 1994. Reuter and Bozek have worked extensively over the past year with officials on both sides of the Atlantic to challenge the record in the C1e category (turboprop aircraft with a maximum takeoff weight under 13,200 lbs./6,000 kg.) as established by the Fédération Aéronautique Internationale (FAI) – the world governing body for aeronautical and astronautical records. Currently targeted during the first half of March – weather conditions permitting – the attempt will use Reuter’s TBM 930. It has been equipped with a custom-made fuel tank to carry 300 U.S. gallons of jet fuel – bringing the aircraft’s total usable fuel quantity to 600 U.S. gallons, ensuring more than 10 hours of flight time. Reuter, 58, is a Chicago-based global finance expert, while the 31-year-old Bozek is a Michigan-based serial entrepreneur and real estate investor. The flight is to begin at Westchester County Airport (KHPN) north of New York City, and will conclude at Paris’ historic Le Bourget Airport (LFPB) – where Charles Lindbergh landed after his pioneering North Atlantic crossing. is displayed by the avionics, advising the pilot to clear the automatic activation and revert to the manual control mode. The automatic deicing protection and autothrottle are fully aligned with Daher’s e-copilot® strategy of introducing functionality for improved operational safety on the TBM product line. Inside the TBM 940’s cabin, Daher has incorporated ergonomic and style upgrades that include redesigned seats, additional thermal insulation for the cabin sidewalls, a new central shelf with side storage, an additional 115V electrical outlet at the right rear seat panel, and USB ports (bringing the overall total of USB ports to six for passengers and three for the pilots). The TBM 940 retains the same range and handling qualities that made Daher’s TBM 900 series a true success, with more than 267 aircraft in this product line delivered from the overall production to date for the very fast turboprop aircraft. Certification of the TBM 940 by the European Aviation Safety Agency (EASA) and the U.S. Federal Aviation Administration (FAA) is expected to be received at Aero Friedrichshafen 2019, the largest European airshow for general aviation, allowing new aircraft deliveries late spring this year. HAI Heli-Expo, Atlanta, GA, March 4, 2019 – Aero Asset, the new global helicopter brokerage from established international helicopter sales professionals Emmanuel Dupuy, William Sturm and Valerie Pereira, formally launches today (March 4th) at HAI Heli Expo in Atlanta. Headquartered in Toronto, Canada, with a global reach, the entrepreneurial and multi-lingual trio, pledge a fully immersive approach to marketing pre-owned heavy, medium and light twin helicopters, drawing on their deep understanding of the market over a combined 50-plus years. Emmanuel and William lead sales and Valerie, a renowned specialist in aircraft market research, is business development and research director. Central and distinctive to Aero Asset’s business is its ground-breaking ‘Pre-owned Helicopter Trend Report (2018).’ Drawing on its proprietary intelligence and close knowledge of the market, the Aero Asset report analyses 15 twin-engine models in the light, medium and heavy categories, from the Airbus H135 to Sikorsky S92A. It is published to coincide with HAI Heli-Expo, the premier global helicopter showcase. “We are ranking pre-owned helicopter markets by liquidity, and outlining drivers and highlights for each market segment,” co-founder Emmanuel Dupuy explained. Twin-engine helicopter trading was up 9% in 2018 versus 2017, Aero Asset’s Report highlights, with the light twin market generating the most activity, up 13% over 2017. Average absorption rate decreased 40%, compared with 2017, with the most significant reduction showing in the medium twin market. The No 1 performer in 2018 was the AirbusEC135, with 30% of models traded being less than 10 years old and 80% less than 15. Only 10% of buyers were outside the US and EU and 80% of transactions involved EMS/or EMS conversions. The EC135’s absorption rate in 2018 was one year. A total 33 preowned EC135’s were traded in 2018. The Leonardo A109E Power ranked second, with nearly twice the absorption rate of the EC135. With 24 units sold in 2018, the type maintains strong liquidity, according to Aero Asset’s Report. A total 40% of these aircraft were sold in Africa, Latin America and Asia, with a minority (15% of the total sales) as EMS variants. Ranked third is the Leonardo A109S / AW109SP. GrandNew sales doubled, while classic Grand sales declined 40%. Dealer purchases accounted for one third of all pre-owned transactions in this market. The Bell 429 topped Bell Helicopters’ liquidity line up in 2018. Trading activity was dominated by VIP models and less than five-year-old aircraft. Half of the buyers were from the US; 50% from Asia and Europe. With an absorption rate of two years and seven units sold, 30% up on 2017, the Bell 429 is ranked 6th. Sikorsky’s S76C+ and S76C++ are ranked seventh, with an absorption rate of 3.5 years. S76C++ sales doubled in 2018, while S76C+ sales declined slightly. Eleven were sold in 2018, the same as 2017. In its retail sales and supply analysis (by weight class) Aero Asset’s Report shows light twin helicopter transactions totalling 90 – up 13% over 2017. Medium helicopters are unchanged at 44 and heavy helicopters (the EC/H225 and Sikorsky S92) up 30%, with three pre-owned models sold in 2018. The contrast on sales / versus supply is most noteworthy on the Sikorsky S76C+/C++ (11 v 38) and Bell 412 (seven sold / versus 30 available). “We are very pleased to present this Report at this week’s HAI Heli Expo and are already working on the next edition, which we plan to publish Q2,” Emmanuel added. Luanda, Angola/4 March 2019– Bestfly, the Angola-based aviation services company, has achieved IS-BAO, International Standard for Business Aviation Operators, Stage 2. This is the first time an Angolan business aviation company has been awarded the status, which is designed to help flight departments and operators achieve a high level of safety and professionalism. It also makes Bestfly one of the very few companies in Africa to achieve the standard. The IS-BAO Stage 2 audit assessed the maturity of Bestfly’s Safety Management System (SMS), and the subsequent certification confirms Bestfly is successfully implementing the highest levels of operational safety, and mitigating risk by adhering to its robust SMS. It also acknowledges that Bestfly is delivering a level of service that meets the sector’s exacting international standards. IS-BAO Stage 1, awarded to Bestfly in May 2017, confirmed the business had closely reviewed its operations to establish, and follow an SMS to meet the necessary standards required for IS-BAO certification. The accreditation, which is managed by the International Business Aviation Council, IBAC, is only awarded to an operator following an independent audit that examines all areas of business operations. Holding IS-BAO status is commonly thought of as achieving the pinnacle of industry standards for business aviation operators and gives confidence to customers that specific levels of day to day operational procedures are being followed and met. As with Stage 1 the audit required Bestfly to invest significant amounts of time, money and personal effort from the local team to achieve the goal. “The certification demonstrates our continued commitment to safety and professionalism and is a credit to all our employees. It also gives our international clients and partners confidence in our operating capabilities. We want customers to automatically associate Bestfly with best-in-class operations and to choose us when travelling in Angola. The Stage 2 accreditation gives them the assurance that we operate to the same high standards as other leading international business aviation organizations,” said Nuno Pereira, CEO, Bestfly. “As Angola, and Africa, continues to develop its business aviation sector we hope that more African companies will be inspired to achieve the IS-BAO accreditation,” added Pereira. Switzerland-based GCS Safety Solutions conducted a thorough audit which took approximately two months to complete, with minimal recommendations made. The company has also been certified by the Angolan CAA, and the Aruban Department of Civil Aviation and holds AOCs from each. As well as being audited and approved by leading oil and gas companies Bestfly holds Third Country Operators approval from EASA all of which supports its work operating and assisting foreign-registered aircraft. The awarding of Stage 2 supports Bestfly’s continued operations of these aircraft and positions the company as a leading African company committed to adopting international standards for aircraft flying in and out of Angola. February 27, 2019 – Airpart Supply Ltd, the expanding UK aircraft parts distributor supporting commercial airliner, business and general aviation aircraft, is pleased to announce a new contract with Meggitt Aircraft Braking Systems effective January 2019 as authorised distributor for wheels and brakes in the territories of Europe, Middle East and Africa. A large inventory of Meggitt wheels, brakes and parts will be available for same day shipping from Airpart’s warehouse and corporate HQ at High Wycombe, Bucks, close to London’s Heathrow Airport. Addis Ababa, Ethiopia/20 February 2019 – Krimson Aviation, the Ethiopia-based trip planning and flight support company marked the handling of its 150th flight since inception this month. The company based at Addis Ababa Bole International airport (HAAB) welcomed a flight from Angola-based aviation services company Bestfly, for its 150th milestone. The Bombardier Global Express, which is one of 17 managed aircraft including two helicopters, in the Bestfly fleet, landed in to Addis Ababa on the 5th February. A regular Krimson client, the Bestfly crew required landing permits, fuelling, crew hotel accommodation and ground transportation. The handling of its 150th flight demonstrates the exceptional growth Krimson has experienced, from managing 15 flights in its first two years to reaching its 150th flight this month. It also reflects the rapid growth of the African aviation business aviation sector. Dawit Lemma, Founder and Managing Director, attributes the rise in activity to a number of factors. An increase in clients from international handling companies which recognise the value of using a local company that understands regulatory, cultural and business nuances. The ability to meet international expectations within the local environment making flight operations more efficient and giving passengers and crews a better Ethiopian experience, and an expansion in locations served. The business began handling requests solely for Addis Ababa Bole airport but in 2018 started serving all major points of entry in and out of Ethiopia including Bahir Dar Airport, (HABD), Dire Dawa Airport, (HADR), and Mekelle Airport, (HAMK). Trip planning and flight handing for flights originating or departing from a number of smaller Ethiopian airports, including Arba Minch, (HAAM), Dessie (HADC), and Gondar (HAGN), airports strengthened its position. Business growth has also been fuelled by expansion beyond Ethiopia as Krimson now regularly supports flight operations in Djibouti, Eritrea, South Sudan and the Democratic Republic of the Congo. A strong financial structure, and a good commercial reputation continue to provide solid foundations for further organic business growth. Lemma identifies the biggest operational challenge as obtaining clearances for aircraft landing outside of HAAB, especially when it is a non-point of entry. These clearances require a significant amount of documentation to be submitted to the Civil Aviation Authority and the Ministry of Defense. By establishing trust with both, Krimson has reduced the time to obtain the clearances and built a customer base which values access to the permits. “We have managed to show all of them that we are a company that operates ethically, and follows the right guidelines and laws,” he says. Looking forward, Krimson is on a trajectory to manage 200 flights and obtain 300 permits in 2019 alone as the business continues to offer full flight support, ground handling, charter brokerage and other aviation services within Ethiopia and East Africa. 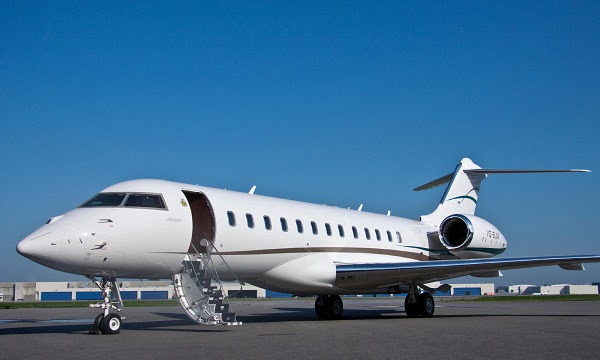 Inflite The Jet Centre, part of the Inflite group of companies, based at London Stansted Airport, is pleased to announce today (20th February) the acquisition of Bombardier Challenger and Global Express specialist Excellence Aviation Services. The purchase includes Excellence Aviation Services Ltd, its Part 145 organisation and CAMO, as well as Excellence Aviation Ltd, its Part NCC aircraft management business. 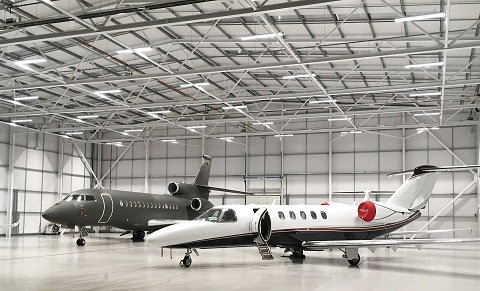 With fresh investment and a dedicated home within Inflite’s 250,000 sq ft hangar space, Excellence Aviation Services’ line station activity will expand to offer full base maintenance at Stansted for Challenger and Global Express aircraft. Inflite, meanwhile, will continue to grow its Embraer executive jet MRO, together with its BBJ work. While London Stansted will be EAS’s new HQ effective immediately, it will continue to offer line maintenance at London Oxford, Luton. Stansted and Farnborough Airports. Its 12 staff, to be joined shortly by two more licensed engineers, will further strengthen Inflite’s 60-strong MRO team. EAS Founder Colin Solley and partner Mike Smith will remain with the business and play a significant role in shaping the group’s growth plans, said Christoffer Creutz, Inflite The Jet Centre’s Managing Director, who joined from Lufthansa Technik two and half years ago. “The deal future proofs our business and we will duly be setting about cross training and sharing manpower to further expand our capabilities and UK coverage,” Mr Creutz added. Colin Solley founded Excellence in year 2000 with Mike Smith joining in 2007, between them they have over 55 years of experience in the business aviation sector. Inflite The Jet Centre provides an extensive range of aircraft handling, engineering and support services from purpose built and newly refurbished premises. With 30 years’ experience the company’s success has been built on the pursuit of excellence and a total commitment to maintaining the quality of its highly skilled workforce and state of the art facilities. Its MRO and VVIP award-winning FBO and MRO facilities are located at London Stansted Airport. Caption: Through Excellence Aviation Services Inflite moves to Bombardier Global Express MRO. Oriens Aviation announced today (20th February) it has signed an agreement with Pilatus Aircraft Ltd to extend its exclusive UK and Ireland Authorised Pilatus Centre at London Biggin Hill Airport to the PC-24 Super Versatile Jet, effective immediately. In readiness, it is ramping up tooling and sending engineers to Stans, Switzerland for training to add the twin-engined jet to its Part 145 MRO approvals. It expects to achieve this by the end of the third quarter. “We are delighted to be widening our partnership with Pilatus with the new PC-24 and looking forward to creating a sales centre showcase at our Biggin Hill home,” said Oriens Aviation CEO Edwin Brenninkmeyer. “We are very pleased to extend our relationship with Oriens Aviation to the PC-24. Edwin and his team have proved to be a terrific partner supporting the PC-12 since the outset and naturally we endorse their credentials as a valued Pilatus family ambassador,” commented Ignaz Gretener, Vice President General Aviation of Pilatus. Oriens’ announcement today comes on the first anniversary of the business opening its Authorised Pilatus Service Centre and a successful four years as the OEM’s representative, facilitating the introduction of 10 Pilatus PC-12s into service in its region. Oriens’ mission is to deliver a high quality, responsive, end to end service to all Pilatus Customers – from sales, AOC and aircraft management advisory, MRO and most recently, pilot training. Its MRO activity was recently bolstered with the addition of Stuart Locke, from TAG Farnborough Maintenance Services as General Manager, at the beginning of this year. He plans to triple the number of productive manhours, 90% of which is devoted to the Pilatus PC-12, versus 2018, through the introduction of new processes and work methods, responding to the peaks in MRO activity. Oriens is also upping its technician and engineering resources. Oriens Maintenance is now able to offer swift responsive AOG support at airports and small airfields around the UK & Ireland with the introduction of a fully equipped vehicle as a mobile support centre & workshop. It is big enough to carry an electrical /air generation system, large components, jacks, even a Pratt & Whitney Canada PT6 aircraft engine. Late last year Oriens agreed an alliance with Oysterair and secured UK CAA approval to commence pilot training courses at its Biggin base. To date, one PC-12 Legacy renewal course has been completed and two active PC-12NG courses are currently ongoing. “The emphasis is to combine traditional teaching methods with modern multi-media platforms in a course that covers EASA and FAA approvals and class ratings. All PC-12 instructors working with Oriens actively fly the PC-12 as line pilots,” said Jonathan Shooter, Managing Director of Oysterair, adding he is delighted to bring this offering to London Biggin Hill in collaboration with Oriens. Through close collaboration with fractional PC-12 operator Jetfly and Bournemouth Aviation Services, Oriens Aviation is now supporting over 20 Pilatus PC-12 aircraft with a number of private UK customers moving over from Bournemouth. From 1st January 2019 the Bournemouth facility is dedicated solely to supporting Jetfly aircraft. Caption: Oriens Aviation to expand Pilatus remit to PC-24. Ahead of the PC-24 support Oriens is also enhancing its customer service capabilities. Susan Duke, the former MD of Motorcycle UK Ltd joins as Business Support Manager, while Charlotte Wroe, who has served as Executive Assistant since joining Oriens in 2017, is now Customer Relationship Manager. Prior to joining Oriens she worked as International Marketing Executive in Ireland with the Shannon Group. Melbourne, Florida / 18 February 2019 – SD has entered a formal arrangement with Rolls-Royce to deliver business aviation engine utilization data directly to the OEM via the SD Pro Operating System, using the SD FlightLogs post-flight data recording module. SD FlightLogs automatically captures flight data and cycle events in real time from the aircraft via its datalink service, and once it is verified by the customer, it will be automatically sent to Rolls-Royce. The result is the recording of extremely accurate and valuable information that Rolls-Royce can use to further understand the utilization of its engines. “This reporting adds another level of understanding for Rolls Royce by providing automated, current information via our SD FlightLogs and SD Pro tools. Until very recently this sort of information was often hand-written so could be easily mis-understood, mis-recorded or lost. We are aiming to work with Rolls Royce to modernize the process which will eventually enhance the value of our customers assets through better maintenance management. Our digital platform can be a rich source of data, and we hope to develop the agreement further in the near future,” said Chris Moore, chief operating officer, SD. SD Scheduler is a cloud-based aviation data management system that can be fully customized for a flight department. It features intuitive navigation, integration to third-party vendors, and powerful business intelligence and reporting backed by continuous customer feedback. SD Scheduler incorporates SD FlightLogs, the first web-based system designed to auto-capture and manage aircraft flight-log data, reducing manual input. Vertis Aviation shows Americas some love with new office and regional launch of Vertis Charter Management Programme, as Argus Certified Broker status confirmed. Boston, MA./14 February 2019 – Vertis Aviation, the Switzerland-headquartered charter specialist is showing the Americas some love this Valentine’s day with three key regional announcements. The business has opened a new U.S. office in Boston, Massachusetts which will be headed-up by General Manager, Robert Coleman, a well- respected business aviation figure in the region. Coleman will be responsible for promoting the boutique Vertis charter service across the Americas, from the furthest northern point of Cape Columbia in Canada, to the ice-runways of the Antarctic. Supporting the office opening is confirmation that Vertis has this week been confirmed as an Argus Certified Broker. The accreditation positions the customer-centric company in the top echelon of global charter providers, there are currently only 11 Argus Certified Brokers worldwide. Following the rigorous audit Argus Safety Director, Edward Wandall said, “We were extremely impressed with the quality of the Vertis approach. The audit revealed a well run, professionally structured business that puts the client at the centre of all it does. We are delighted to welcome them to the Argus scheme, particularly in the month they expand their U.S. presence.” The Argus-recognition confirms that Vertis adheres to industry best practices, has a deep and broad knowledge of the executive aviation business, and is committed to the utmost in safety and service-oriented charter services. The new U.S. presence strengthens the existing network of offices in Dubai, Cape Town, and the headquarters in Zug, and adds valuable support to Americas originating customers. “Our highly personalised bespoke service generates long term customer relationships and establishes in-depth operator relationships. We get to know aircraft in detail which is knowledge we can use to make the right recommendations for our clients, yet we remain removed from all operational aspects,” says Emmenis. Vertis anticipates the Americas customer base will quickly ramp up with existing corporate and private customers utilising the Americas office for their intra-continental needs. With the expansion of the Americas business Vertis is taking the opportunity to merge all its capabilities into one global offering which supports charter of all aircraft types. 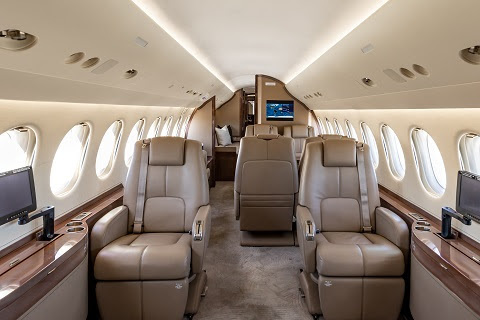 In addition, it will continue to market, on behalf of the owner/operators, a select portfolio of long-range business aircraft including two Boeing Business Jets BBJ, an Airbus ACJ319, two Bombardier Global 6000, a Gulfstream G450 and a Bombardier Challenger 350. MSB Aerospace LLC celebrates first year of production in Savannah, Georgia. Savannah, Georgia/13 February 2019 – MSB Aerospace LLC, the US-based division of Montreal-headquartered precision engineering business MSB Design, is celebrating the first year of production at its Savannah, Georgia facility. Opened late in 2017 to better serve the US market, the facility has quickly ramped up to manufacture customized, precision-engineered products for the business aviation sector. To date, the operation has produced a variety of bespoke crystal, china and flatware stowage inserts (CCF), more than 50 single and dual pedestal hi-lo tables, personal device holders, and a collection of MSB’s innovative up-lit glass holders. When production began in Savannah, MSB Aerospace LLC employed nine people. Today the staff numbers 22 with more recruits anticipated to join in the next six months. The 10,000-sq-ft production unit is expected to produce up to 30 percent of MSB’s total North American output this year, and the company is eyeing 60,000 sq. feet for further expansion. The first inserts and tables came off the line in January 2018 with delivery to the new production unit’s first customer, Gulfstream, following swiftly after. Subsequent products were destined for a mix of completion centres including L3, OEMs and private owners based throughout the U.S.A. The company began 2019 with orders to supply products to six new clients with delivery occurring this year. Looking to the next year, in addition to manufacturing its own products, Gill is hoping to add build-to-print support for customers shortly. Several newly manufactured items will also enter production this year including variations on tables, new mechanisms and products for new aircraft platforms. Senior management, clients, partners and local Savannah government officials celebrated the success of MSB Aerospace’s first year during an event held at the Mighty First Eighth Airforce museum in its home town of Savannah. Gill thanked local government for their support, customers for their business and acknowledged the hard work and dedication the newly created team members had given to make the first year a success. Safety and security always at the core of all operations, now with real time data-led analysis. VistaJet, the first and only global business aviation company, places the safety, security and wellbeing of its customers and staff above all else. Today, the company announces a further step in advancing its flight operations software with the adoption of Osprey Flight Solutions data-led risk assessment technology. Ever since its launch in 2004, VistaJet has placed the utmost attention on operational and flight safety and to date has completed over 146,000 flights globally, having safely flown over 367,000 passengers to more than 1,900 airports worldwide. By integrating Osprey’s leading safety system, VistaJet is able to instantaneously and intuitively risk assess every single flight directly through its proprietary operations software and support operational decision making. The platform delivers immediate intelligence on the aviation environment, collecting data from 200,000 sources in 60 languages. A team of analysts combines the data with machine learning algorithms, painting a real-time view of global safety. The new cutting-edge integration complements VistaJet’s expert human analysis to offer the most comprehensive security and risk assessment. Information includes the widest range of events that could impact flight performance, from local taxi strikes that may delay arrival of crew at the airport, to a detailed evaluation of no flying zones. Data is applied to a 10km by 10km grid covering the full globe and provides a detailed altitude overview. With a granular and real time access to data, the VistaJet team is able to measure possible delays and calibrate each flight to the most secure conditions along the safest routes, even when the aircraft is airborne. Operated from its headquarters in Malta and supported through its network of regional offices, VistaJet’s rigorous safety standards have been recognized globally. VistaJet is the first operator to be awarded the Diamond Safety of Flight Award by the European Business Aviation Association (EBAA) in 2016, and again in 2018, with each recognition spanning two years. The company’s operations are also classified with the ARGUS International Platinum Rating and Wyvern Wingman, and VistaJet flight crew and ground staff are trained to standards that surpass stringent industry regulations. Melbourne, Florida / 6 February 2019 – The Transport Canada Civil Aviation (TCCA) authority has awarded Skyservice Business Aviation an STC for installation of the Satcom Direct Data Link Unit (DLU) upgrade on the Learjet 45 type. SD supported Skyservice through the TCCA STC process, and with the EASA and FAA submissions whose approvals are expected in the second quarter of 2019. Of the three Skyservice Learjet 45 aircraft, one is already benefitting from the system installation, with the next two scheduled for SD DLU upgrade in early 2019. Upon completion, the installations will support CPDLC (FANS1/A and ATN- B) compliance to augment operational safety. Skyservice will use their STC to support other Learjet 45 operators requiring installation which helps retain asset value while optimizing performance. “Skyservice is one of the first MROs to comply with 9,600/10,000/14,800-hour inspections and has more than 30-years-experience in Learjet maintenance. The SD DLU is a proven product that supports more efficient Learjet 45 operations. With their support we are now positioned to be the facility of choice for these upgrades,” said Paul Weeks, Vice President, Maintenance for Skyservice Business Aviation. Peterborough, Ontario/ 5 February 2019 – Flying Colours Corp., the North American maintenance, repair, overhaul and completions business is celebrating thirty years of successful MRO and interiors operations. Launched as an aircraft painting business by current President, John Gillespie, the small start-up quickly developed into an aircraft sales business before evolving into a fully-fledged MRO and interiors business in 1989. Since inception the privately owned, family run company has grown the business from a small hangar dedicated to painting turbo-props and small jets at Peterborough Airport to an international company known for its strong maintenance capabilities, creative cabin-interior design resulting in functional, yet stylish completions, refurbishments including Flying Colours branded CRJ ExecLiner, avionics expertise and ability to handle complex special mission projects. Led by the core philosophies of Integrity, Innovation and Flexibility,once the smallest business at the airport it is now the largest airport tenant and is currently expanding its head quarter’s footprint with the addition of a fourth hangar measuring more than 100, 000 squared feet. A second base was established in 2009 when Flying Colours purchased JetCorp Technical services in St. Louis, which became Flying Colours KSUS in 2013. The facility expanded rapidly and now consists of a 40,000 squared feet state-of-the-art dedicated cabinetry and interiors facility along with a further 60,000 squared feet of hangars, the most recent of which opened its doors for business in January this year. With the opening of a Singapore interiors division at the Bombardier Seletar Airport facility in 2015 Flying Colours became truly international. A growing Asia Pacific-based team provides a range of services from interior touch-ups to complete refurbishments for Bombardier aircraft based in the region. Today a global team, which is anticipated to exceed more than 500 employees by year-end, delivers an extensive selection of dedicated business aviation services. “It’s a well-known fact that the business aviation sector is a competitive and challenging industry to succeed in, and we are extremely proud to be marking our thirtieth anniversary this year. In some ways it feels like we are just getting started as we still have a lot of exciting plans to implement over the next decades,” said John Gillespie, Founder and President. “It goes without saying we would not have got to where we are without the support of our elite set of customers who value the fact we can deliver even the most complex project, our reliable long-term partners, and most importantly our highly motivated and skilled technical teams. As the years progress this is set to continue to grow,” said Gillespie. Flying Colours plans to mark its thirtieth year with internal and external events with customers, partners and its growing in-house team to demonstrate its gratitude to those that have worked and supported the business through the years. 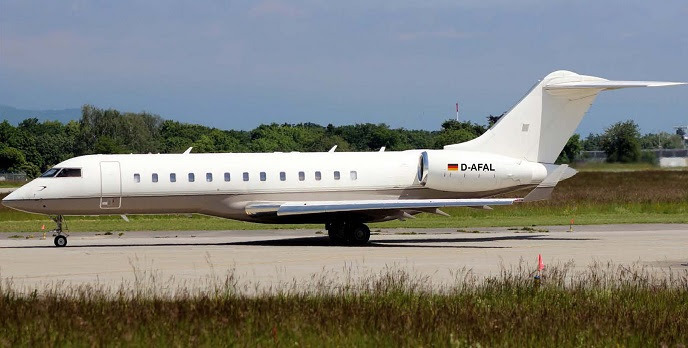 February 4, 2019 – German Special Mission and VIP-Charter Operator FAI rent-a-jet AG has welcomed its seventh Bombardier Global Express, MSN 9016, to the company’s 26-strong fleet. Following a 240-month inspection, the Global Express will undergo a complete interior refurbishment at the company’s growing MRO division, FAI Technik in Nuremberg. Further planned upgrades include the installation of a new cabin management system, KA-Band Ultra-High Speed Wi-Fi Internet and new exterior paint. It is anticipated that the aircraft will be introduced to the market for sale or lease by the end of March 2019. The aircraft’s custom interior will be designed by FAI’s design partner, award-winning German design specialist, Tim Callies. Tim, who is well known in the business aviation industry for his work on Boeing BBJ’s, Airbus ACJ’s and Global Express business jets will work with the future aircraft owner to select custom features to suit his or her own particular taste and lifestyle. The Global Express will be FAI’s third “Signature Edition” aircraft where a buyer can personalise the cabin design and select upgrades for an all-in turnkey price. The end result offers the benefit of a fully refurbished aircraft with major maintenance inspections completed. In addition to the seven Bombardier Global Express jets, FAI´s group fleet includes, five Bombardier Challenger 604s, one Challenger 850, 11 Learjet 60, plus one Premier 1A and one King Air 350. All Bombardier aircraft are maintained by FAI Technik GmbH in Nuremberg. FAI is Germany’s largest general aviation operator by fleet operating more than 13,000 hours of airtime in 2017. It is also one of Europe’s largest Bombardier operators, which brings significant operational and cost benefits. January 29, 2019 : The leading business aviation Unicorn ideally positioned to seize even larger market share in 2019. VistaJet, the first and only global business aviation company, today announced another record year in 2018, with new Members and number of flights up prominently year on year. As it enters its 15th year, Malta based VistaJet made significant progress on its core strategic priorities, increasing market share worldwide. In line with the asset lite macro trend taking off globally, VistaJet saw new contracts of its flagship Program membership grow by 31% in 2018 and the number of flights increased by 25%. As demand for longer flights and comfort continues to increase across the industry, VistaJet’s utilization grew by 20% across its fleet of over 70 aircraft – now equating to enough hours to fly each aircraft around the world 20 times on average. Regionally, Europe proved a significant market for corporates and individuals flying privately, accounting for 48% of total VistaJet flights in 2018. New Program Members grew significantly by 105% in the region, with the majority of growth coming from clients based in the UK which doubled its new contracts. North America remained a key growth driver for VistaJet and accounted for the largest increase in flights in 2018, with a rise of 46%. To cater for the growing demand from customers in the region, 21% of VistaJet’s global fleet at any given time is in the market, with the Global 5000 fleet flying more than the Challenger aircraft during the year. VistaJet continued to lead the market in terms of innovation and service. Adding to its global coverage and unique flight-hour subscription model, the company introduced new experiences for its Program Members, designed around their passions. Encompassing key partnerships with world leading art and sport partners such as Christie’s and British Polo Day, as well as the launches of the most extensive traveler’s programs for children and oenophiles in private aviation. While the Middle East has seen some weakness in the industry, VistaJet’s customer base appears to be as strong as ever, with number of flights up by 38% and passengers by 24%. The UAE accounted for the majority of flights in the region at 29%, and the number of flight hours at 34%. As Dubai continues to prove a significant global hub, VistaJet will open a larger sales office in the region in January 2019. Strong numbers in Asia, with flights increasing by 26%. Reflective of economic forecasts for GDP, Singapore led the results with a 71% growth in the number of flights to and from the country. Air BP has started supplying Jet A-1 fuel at La Perdiz airport on the La Nava estate in Spain. Air BP customers will benefit from direct access to one of Spain’s most exclusive country destinations. Air BP, the international aviation fuel products and service supplier, has added La Perdiz (LEIZ) airport on the La Nava estate to its Spanish network. This latest addition to the network brings the total number of Air BP’s locations in Spain to 49. Located at the popular Toussus-le-Noble aerodrome southwest of Paris, this operation includes a workshop and offices in Hangar 111/112, positioned near the airport’s main entrance. As a subsidiary of the primary TBM Service Center at Daher’s Tarbes-Lourdes-Pyrenees Airport facility, this latest customer support base is Part 145 approved by the European EASA and U.S. FAA airworthiness authorities – enabling work to be performed on TBM aircraft registered both in Europe and the United States. It will provide maintenance service, including scheduled inspections for TBM aircraft covered by Daher’s maintenance contracts. The station ensures handling and customer care during opening hours of the airport, weekends and holidays included, with a two-hour prior notice. Chabbert also noted the Toussus-le-Noble customer support base benefits from the direct support of Daher’s TBM experts in engines, airframes, avionics and systems at its Tarbes-Lourdes-Pyrenees Airport facility. Hugo Delpi, manager of the TBM Service Center at Tarbes-Lourdes-Pyrenees Airport, also will be responsible for the new Toussus-le-Noble operation. January 28, 2019 :AVIAA, the international group purchasing organization for business aviation, is adding over 150 new aircraft to their membership with the announcement today (28th January) it has reached an agreement with Europe’s smart purchasing business Convolus to merge their operations. The move will see AVIAA widen its footprint in Europe with the establishment of an office in Munich, Germany, complementing its existing bases in the UK and US. Irena Deville, co-founder and CEO of Convolus, becomes Managing Director – Europe and Middle East for AVIAA, and she will work alongside California-based CEO Gillian Hayes and her team. “We are delighted to have formalized this agreement with Convolus. It marks a significant strategic step for AVIAA, which will enable us to deliver larger scale global purchasing for our collective members and suppliers,” said AVIAA CEO Gillian Hayes. Speaking at Corporate Jet Investor’s annual 2019 conference in London she highlighted how the deal will help the business grow and enable AVIAA to deliver value for members and its supply network in new geographies, and bring expanded procurement services to new European members. After the acquisition formally concludes this month, the AVIAA community will support a member fleet of nearly 500 aircraft and a network of suppliers with global operations across every spend category, including a robust international FBO network. Existing Convolus members will be seamlessly integrated into the AVIAA community. In addition to the increased buying power the fleet merger will afford them, they will also be able to accrue further cost savings in the AVIAA supply chain, which covers expanded service categories, including insurance, maintenance, fuel, business operations, and crew training. AVIAA’s predominately US-based members will be able to draw benefits and savings from the enlarged group’s 100-strong European FBO network, from large multi-destination handlers to stand-alone individual FBOs. “Business aviation in Europe remains significantly fragmented,” commented Irena Deville. “The opportunity to scale up and expand with AVIAA means we can optimize our technology solutions; combine our procurement data sets globally to better inform pricing, predict spend, and streamline our transactions. It all comes down to better serving our members and suppliers as we add new categories to support our mainstay pillars.” she added. Irena brings a wealth of experience to AVIAA, not just for her insight and embracing of disruption as co-founder of London-based Convolus, but in her former role focused on mergers and acquisitions activity and spearheading consolidation efforts. Prior to developing Convolus, Irena was Head of Strategic Development at Gama Aviation Plc, where she was responsible for implementing the group’s strategic development and acquisition strategy. Irena joins a team at AVIAA with deep experience not only in aviation, but insurance and risk management, technology, marketing, and group purchasing. AVIAA uses aggregation, transparency, industry expertise, and proprietary algorithms to streamline the procurement process for both operators and vendors. Through membership, operators of all sizes achieve improved business intelligence and economies of scale, allowing them to get the best value for key operational items; suppliers receive committed volume without the overhead, reduced friction costs around transactions, and deep insights into customer behavior and purchasing patterns. Tarbes, France, January 23, 2019 – Daher salutes the exceptional flights performed this month by owner-pilots on two TBM aircraft that traversed Antarctica and overflew the magnetic South Pole. These achievements marked the first legs in earning the Polar Diamond Circumnavigator Diploma, recognized by the Fédération Aéronautique Internationale (the world’s governing body for aeronautical and astronautical records and sports), which has only been awarded once before. One of the TBM owner-pilots – Sebastian Diaz from Santiago, Chile – reunited three generations of pilots in flying his TBM 850 with Diaz’ father, 88-year-old Patricio (one of the oldest still fully-licensed TBM pilots); and Sebastian’s son, Sebastian Jr., as copilots. The other TBM owner-pilot, Dierk Reuter from Chicago, USA, was flying with son Alex on his TBM 930, carrying cameras and an inflight tracking system benefitting from an Iridium GO! satellite connectivity device and support of Iridium Communications. In-flight photos were posted to Instagram in quasi real-time using Iridium messaging and software created by the Reuters. The 2,700 nautical mile trip for both aircraft from Santiago, Chile, to 75° South – the latitude required for the polar circumnavigator diploma – required three stopovers and much preparation, as Antarctica offers some of the most challenging environments for aviators. The temperature averages -56°F (-49°C) with constant winds. Both TBMs had to fly over the huge continent – nearly 5 million square miles (12.9 million square kilometers) in size, largely uninhabited and mostly covered in ice. In addition, central Antarctica presents high ground that rises to more than 8,000 feet (2,500 meters), with peak mountains reaching 16,050 feet (4,892 meters) – where clear blue skies can quickly turn to overcast whiteout conditions. On January 1, the two TBM aircraft left Punta Arenas in Chile: destination Teniente Rodolfo Marsh Martin Airport on King George Island (part of Chile’s Antárctica commune in Antarctica, and the continent’s northernmost airport). This airport serves the nearby village of Villa Las Estrellas and Base Presidente Eduardo Frei Montalva – the most important Antarctic base of Chile – with a 4,232-foot (1,290-meter) gravel runway. On January 2, both TBMs continued to the British Antarctic Survey Sky-Blu base, at 807 nautical miles southwest, and reached the 75° South latitude turning point before returning to King George Island’s airport. On the way, TBM 930 owner Jim Baum arranged a fly-by of the National Geographic Orion – an ice-class exploration ship, enabling exciting pictures and video to be recorded. Dierk Reuter explained: “The journey from my hometown Chicago to 75S 71W and back can be summarized in figures: 18,782 nautical miles, 64 hours, 3,080 gallons of jet fuel, and 19 stopovers. But it doesn’t tell the story about a pilot’s feeling to fly over the South Pole. The TBM is an awesome aircraft to explore the globe!”. 22 January, 2019 : SONAS Aviation, the new Shannon-based aircraft charter and management company, founded late last year by Graham Williamson, former CEO of TAG Aviation Europe, is just weeks away from acquiring its Irish AOC. With its first managed aircraft, a Bombardier Challenger 605, to be available for charter on the new EJ-register, Graham will be at Corporate Jet Investor’s London conference next week to meet with financiers and G-registration aircraft operators. “We are reaching out to owners of corporate jets seeking predictability, stability and continuity in these uncertain times,” says Graham. SONAS Aviation is duly offering aircraft owners a simple transition for their aircraft to an EASA Operation, allowing free movement in Europe and unfettered traffic rights to the 44 countries covered by EU bilateral agreements, including the USA and Canada. “Looking at EASA’s newly updated Guidance Notes, it is difficult to predict how aircraft operated, crewed, registered, maintained or managed from the UK will be affected, and this throws up uncertainty regarding importation, free circulation, certification and licensing,” says Graham. “Some of the currently fashionable and established European jurisdictions, such as Malta, are struggling to keep up with the volume of aircraft coming onto their registries,” suggests Graham. An alternative jurisdiction, so close to the UK, with an excellent legal, finance and banking fraternity will add to the EJ appeal, he believes. While SONAS Aviation is brand new, behind it sits a management team with decades of aviation experience. Graham has been joined by Russell Allchorne, former VP Operations at TAG Aviation Europe as the COO, and Keith Brennan, former Post Holder with Eirtech Aviation, as Airworthiness Director. SONAS is supported by the Air Law Firm and its Founding Partner Aoife O’Sullivan, a widely regarded business aviation lawyer. As well as traditional aircraft management, SONAS Aviation will be offering expertise to clients looking to lease, rather than ‘buy’ their corporate jets. “Where better to advocate this growing model than in Ireland, home to many established commercial aircraft leasing companies dedicated to the airline sector,” highlights Graham. “A lease offers predictable costs and gives the owner far greater flexibility to upgrade the jet, or change it in six years, just as the airlines do. It removes the uncertainty of residual values and it is a smart way of financing a depreciating asset,” Graham will highlight. SONAS Aviation is not seeking to grow into a large aircraft management company. Rather, it wants to build a close relationship with select clients, build trust and deliver a quality, personal service, maintaining full transparency on costs. Ahead of its operational start, drawing on lessons learned, SONAS and its primarily Irish team, has created seamless processes for all elements of planning, operations and customer service using harmonised cloud-based systems. “We are committed to offering a simple and seamless transition for clients. We will be limited in the number of aircraft we can absorb in the coming months. First mover advantage is paramount and only those who take control and make the right choice today will be guaranteed continuity of operations, approvals and licences,” Graham concluded.